Defending champion Alexander Crnokrak will face Rinky Hijikata for the 18/u Australian title, while Gabriella Da Silva-Fick and Olivia Gadecki will fight it out for the girls' crown. Alexander Crnokrak survived tough conditions and a game opponent to advance to the 18/u Australian Championships final. There he will meet No.2 seed Rinky Hijikata, who swept to a 6-1 6-4 victory over Dane Sweeny. In the girls’ final, top seed Gabriella Da Silva-Fick and Queensland’s Olivia Gadecki will face off after both recorded straight-sets victories on Friday. 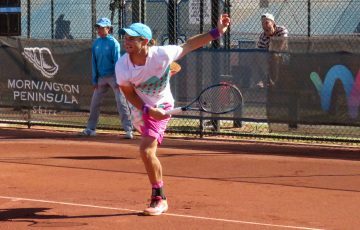 Crnokrak raced through the first set in hot, windy conditions against Ken Cavrak, before the Victorian made the second set a tighter affair. Crnokrak, the defending champion, led by a break midway through the second set before Cavrak found his range and began striking regular winners. He dominated the ensuing tiebreak before Crnokrak settled in the third and resumed his dominance to complete a 6-1 6-7(2) 6-1 triumph. “I thought the conditions were very tricky today … he beat me the last two times so I knew it was gonna be a tough match,” Crnokrak said. “Second set I knew he was gonna come back. It was really close the whole time … He hit some amazing shots to get back in (it). I just thought, if I keep playing my game, surely he can’t keep hitting these winners. “I was serving first in the third set which kind of helped, because I held the first game and I saw he was a little but shaky. It was the first time all week the 18-year-old Queenslander had dropped a set, a dominance he attributed to excellent serving. It was apparent in the first and third sets of his triumph over Cavrak; the pace of his delivery frequently caught the Victorian off guard. “I think I’ve been serving really well … that puts pressure on the other guy to make sure he serves (well) and it makes me relaxed in their service games,” he said. Hijikata is yet to drop a set in five matches during the 18/u event so far and could be considered the favourite going into the final, given his higher seeding and the fact he recently cracked the top 15 in the ITF world junior rankings. Gadecki, meanwhile, subdued Annerly Poulos 6-3 6-2 in the first of the girls’ 18/u semifinals. 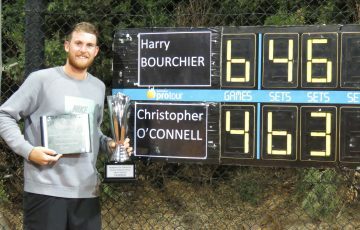 The pair have a long association, having contested the Australian 14/u final at the December Showdown in 2016 – a match Gadecki won in three sets – before Poulos won their most recent match in three sets in an ITF junior clay-court final in Palermo, Italy. 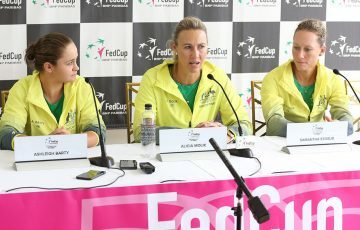 They are also Junior Fed Cup teammates and occasional doubles partners. “I didn’t think I was playing my best tennis, but I thought what I did was enough and that’s kind of all I focused on throughout the match,” Gadecki said. Gadecki, aged 16, described reaching the 18/u final as a “surreal” feeling. 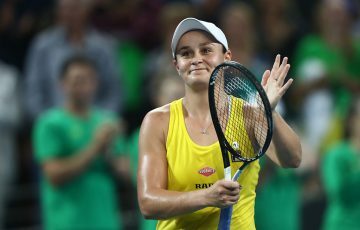 “I didn’t think I was gonna get this far, coming out of the pool and how I’m playing at the moment, I don’t think I’m in the greatest form,” she admitted. Da Silva-Fick cruised to a 6-3 6-0 win over Taylah Lawless. 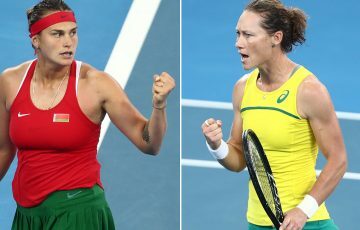 The top seed said on Thursday, following a dramatic quarterfinal win over Ivana Popovic, that she had battled up-and-down form throughout the week at Melbourne Park. But she was in ruthless form on Friday, crushing two return winners and then a swinging volley winner in the final game to close out victory in just 54 minutes. 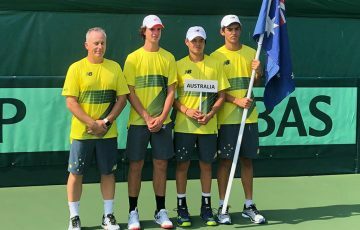 More than 500 of Australia’s top young athletes representing every state and territory will take to the courts for this year’s December Showdown, held from 1-16 December at Melbourne Park. 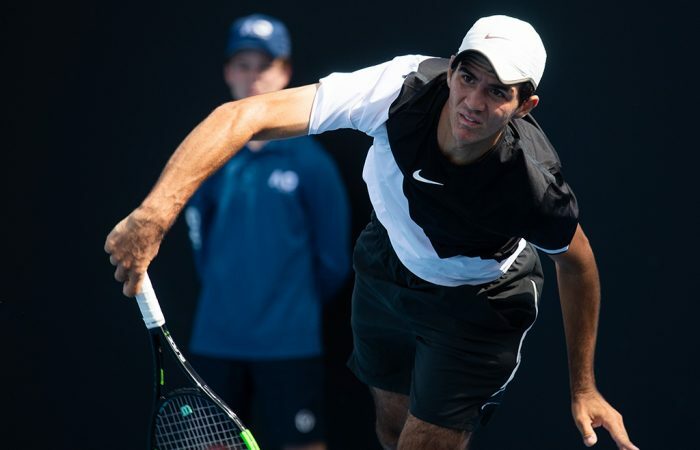 The 12/u and 16/u championships begin on 11 and 12 December respectively, while 16 Australian men and women will compete for a main-draw wildcard at the Australian Open 2019 Play-off from 10 December. For all December Showdown news, draws, scores and the daily order of play, follow this link.